My friend Annie and I had lunch this week to catch up and hash out life’s big issues over salad. It has been a long winter for all of us, but she had just changed jobs, travels all over the world, is dealing with a family health crisis and is feeling the effects of stress. She told me she had been consulting with a nutritionist to try to give herself a physical boost, to try to make some healthy adjustments to her diet so that she’s better equipped to face everything she has to deal with. She joked that she was eating nothing but quinoa and kale and was feeling good but a little culinarily one-note. I love kale and I can take or leave quinoa, but boredom with your diet is a good way to end up at the bottom of a bag of Cheetos so I always keep a (some might say excessive) variety of whole grains in my kitchen. They each have such different flavors and textures and characteristics that it keeps me interested. The problem is, as Annie said, if you’ve never tried a grain, you don’t know if you like it until you’ve bought that 20 ounce bag that you try once, and then it sits moldering in the back of the cabinet until it gets rancid and you end up throwing it out. I decided to put together a little sampler of some of the grains I have at home for her, enough for a serving or so for her to try out before she buys whole bags of them and thought I’d share it with all of you too. I’ve done several recipe posts for whole grain salads but haven’t really put together my “Classics” list for a post. 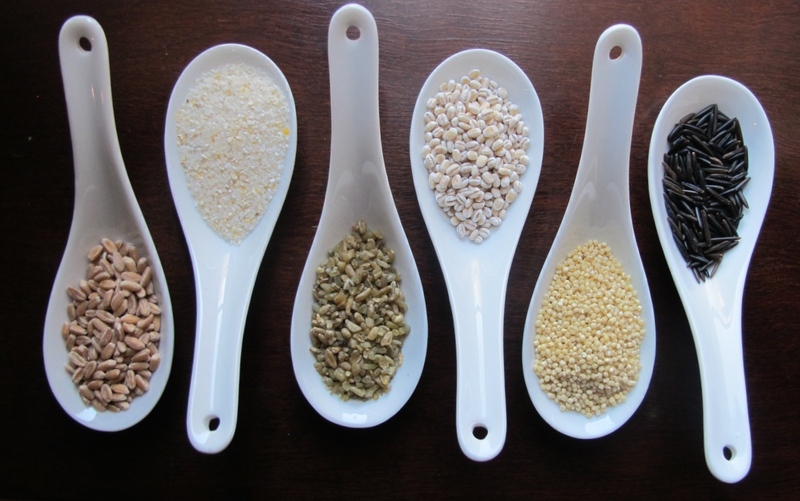 So here are a few of my favorite grains. Farro: “Caesar marched his army to the sea on farro” our innkeeper in Italy told us. 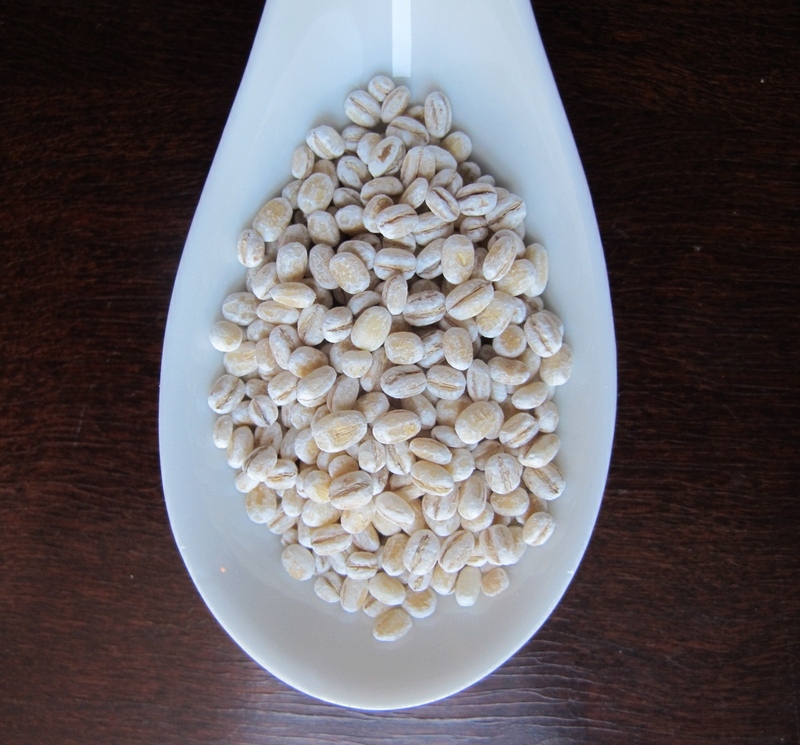 Emmer farro is an ancient Roman grain variety that is nutty, earthy, chewy, with a similar texture to but not as sweet as barley. It cooks in a lot of water and keeps separate grains so it’s great to toss with other things for a hearty whole meal salad. I especially love farro with sautéed mushrooms. Cook it at a 4:1 ratio of salted water to grain for 20-25 minutes, or until it is as tender as you like it, in a covered pot. Drain any leftover water. It can also cook much more quickly if it is soaked in hot water for at least a couple of hours before cooking. Low in gluten, high in complex carbs, with protein, fiber, lignans, and antioxidants, it can form the basis for a hearty, healthy vegetarian meal. 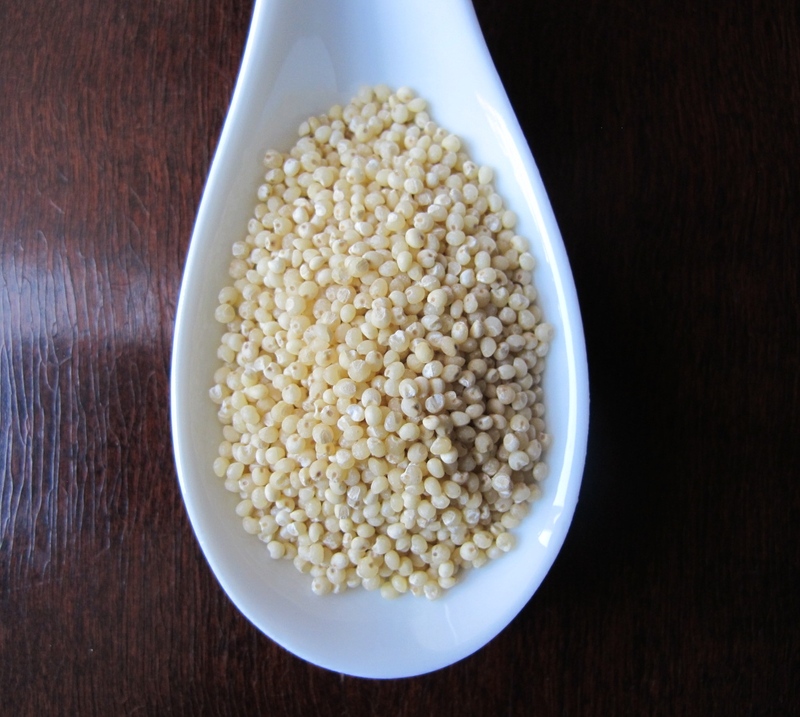 Millet: Millet is a quick-cooking, fluffy grain with a toasty, corny flavor. It is probably one of the most widely cultivated ancient staple grains in the world, a drought resistant crop, but most of us tend to think of it as birdseed. I like it in just about any dish where cous cous would be appropriate. It is gluten free and alkaline which can help balance the body’s tendency toward acidity. I toast it in a pan with a little olive oil, coconut oil, or other fat, add 2:1 ratio of boiling water to grain. Cover the pot and cook for about 15- 20 minutes over low heat until it is fluffy and dry. This is the same technique I would use for a long grain rice. Use a fork to fluff the grains apart. Frikkeh: Also spelled “freekeh” “frikeh” and “farik”, frikkeh is a green wheat grain that is toasted and (usually) cracked like bulgher wheat. It has a subtle hint of toasty smokiness and one of the most intriguing delicious grain flavors I’ve run across. 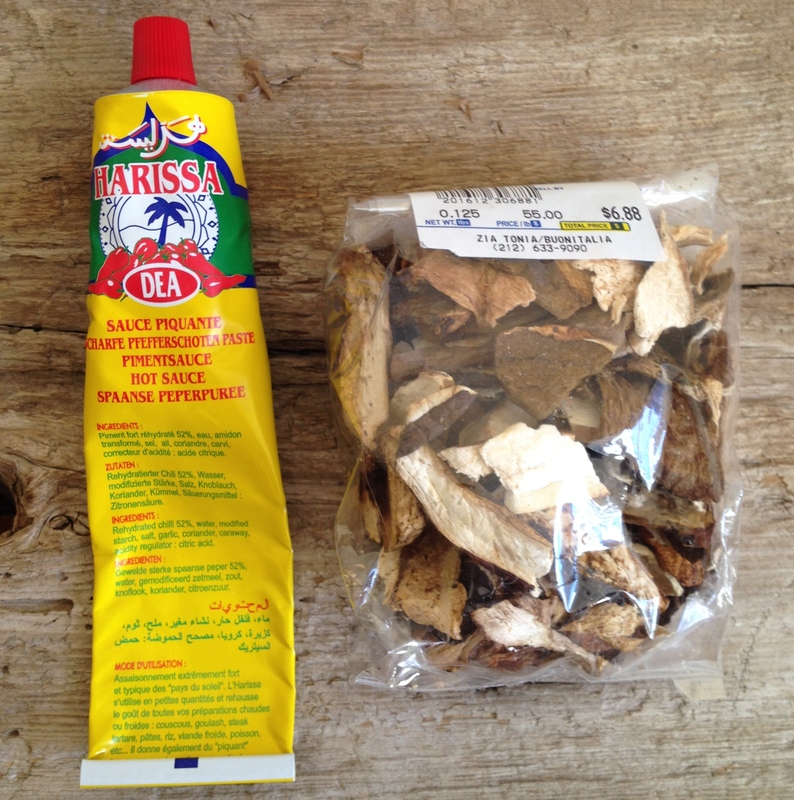 It is used a lot in Levantine and North African cuisines, seasoned with cinnamon and coriander in pilafs with toasted pine nuts, as a stuffing, and with lamb. I even love it plain, just salted and buttered, instead of rice. 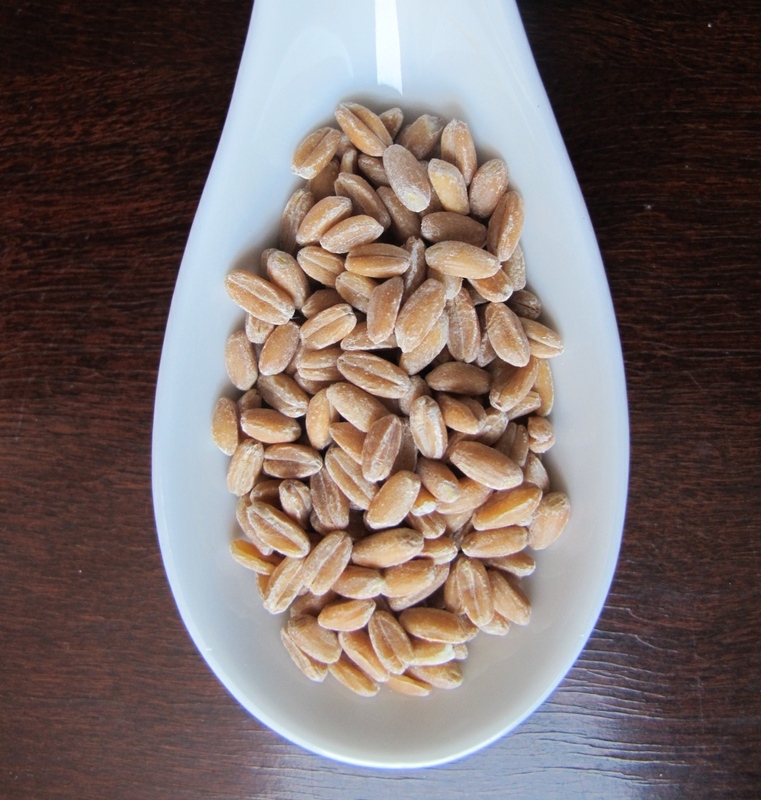 It is especially high in fiber and has a lot of selenium, potassium, and magnesium. Cook it with a little more than 2:1 water to grain ratio for 15-20 minutes for the cracked grain version. 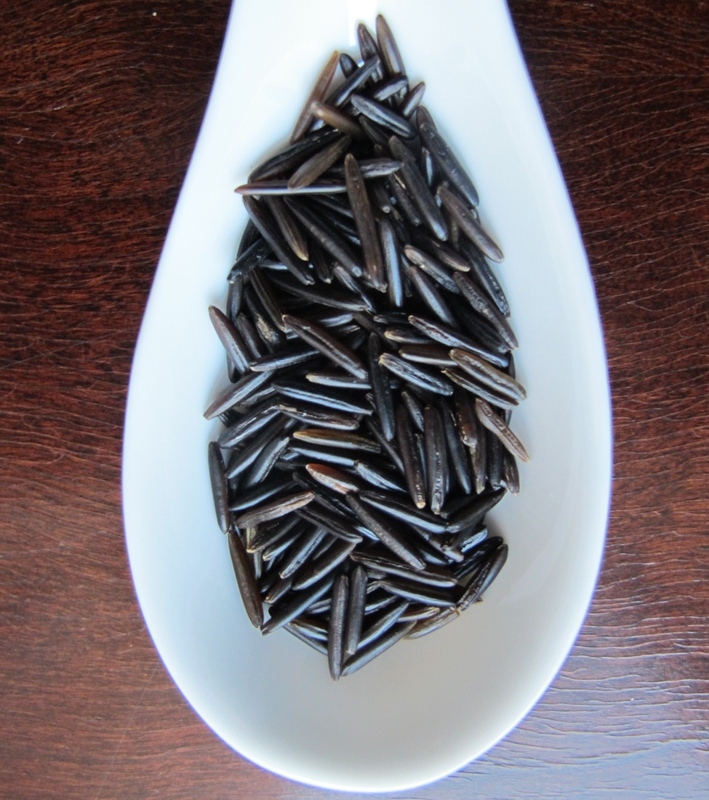 Wild Rice: I included wild rice because it is actually a grass seed from the Zizania palustris species rather than true rice. In some part of North America, Native American people harvest it by hand from canoes and the specific method of harvest is proscribed by tribal law. Wild rice has a tough outer sheath covering the inner grain that “pops” as it cooks. Second only to oats in protein, it contains b vitamins, lots of dietary fiber and is gluten-free. It has an earthy, spicy, irony flavor, which subtly hints that it was grown in water; it reminds me slightly of kombu or kelp. I pre-soak wild rice for a couple of hours before cooking it in at least 6:1 ratio of salted boiling water for 30 minutes until the kernels have popped and blossomed. Drain and toss with an intense dressing – I’ve gotten raves over the wild rice and Brussels spouts with mustard dressing I posted in December. It is also good with something tangy and sweet like cranberry (another native North American food). 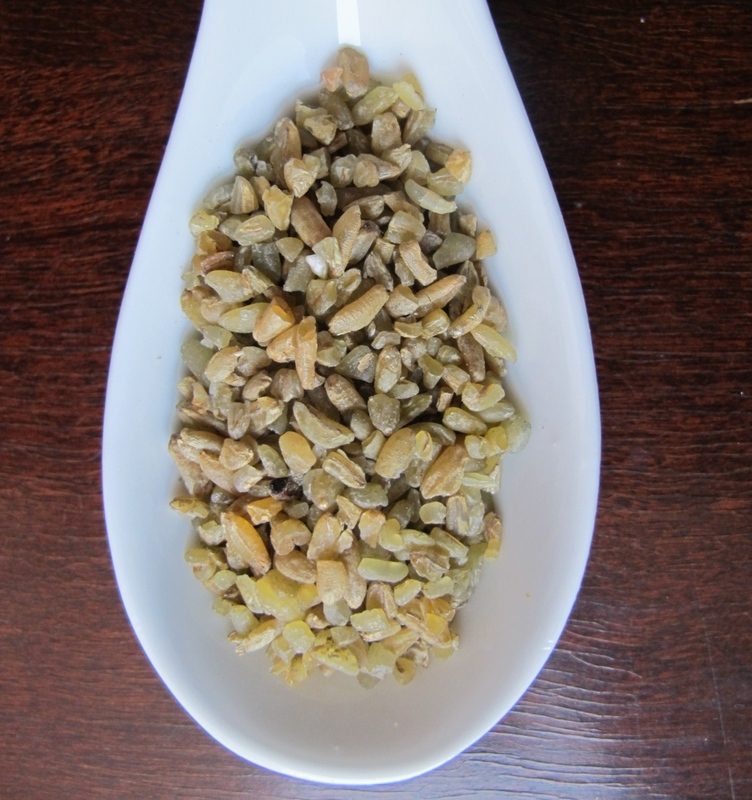 Pearled Barley: I feel like I almost take pearled barley for granted it has been a part of my diet for so long. For me, pearled barley goes in vegetable (or vegetable beef) soup. The pop of the grain adds textural contrast, the sweetness balances flavors, and the soluble fiber (same as in oats) thickens and enriches the soup’s broth. Although it is pearled which means that some of the hull has been buffed off, (meaning it isn’t technically a whole grain) it is much quicker cooking and still has lots of healthy fiber. This sweetness and fiber also makes it great (and filling) for breakfast with fruit and a little brown sugar. I usually just throw it into soup without measuring the ratio, but about 4:1 and a 15 minute simmer works for breakfast barley. 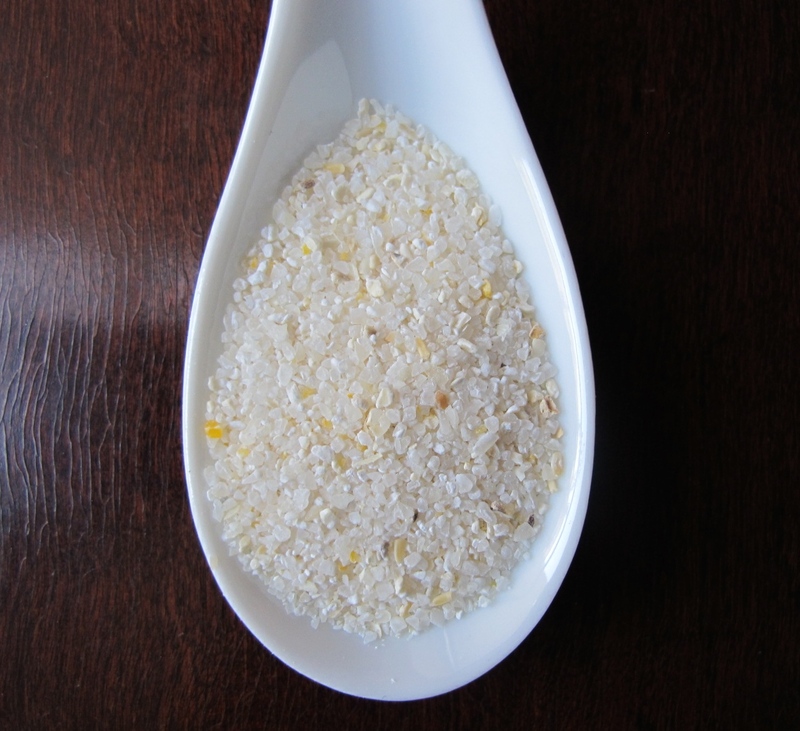 Hominy Grits: You know I can’t make a list of grains without talking about grits! As a southerner, grits are essential for my mental, physical, and emotional well-being. Nothing soothes the ruffles feathers of my soul like a warm bowl of buttered grits; it was the first meal I cooked when I moved here to New Jersey. Hominy grits are made from dent corn, which has been treated with an alkali (with masa harina it is called “nixmatalization”), a process that makes more of the corn’s nutrition accessible during digestion. In contrast, corn polenta is usually made with flint corn which is not treated with alkali. I like white, organic, stone ground grits, and keep them in the refrigerator to prevent rancidity since I usually have to mail order them in larger amounts than I can use up quickly. 4:1 salted water to grits cooked with butter is the classic bowl of grits. Top it with a poached egg and some sautéed greens and you have a comfort in a bowl. Honorable mention: Although I don’t use them in the same way I use the other grains, both chia and flax seeds are a regular part of our diet. Both are high in omega 3 vitamins and cholesterol controlling fiber. I treat them more as additions too, rather than main elements of, meals, added to smoothies, yogurts, and granola. The fiber in all of these grains is important for maintaining healthy cholesterol levels, healthy blood sugar levels (instead of the peaks and valleys caused by simple carbs) and healthy intestinal bacteria which is critical for digestion and a healthy immune system. These are just a few of the texts I get from my siblings. I get questions about the photos I post on Facebook, I get texts and emails from the grocery store or in a panic mid-cook “is it supposed to look like this?” People ask me what to do with the okra I’m picking up at the farmer’s market, how I’m going to cook the bag of nettles I’m gingerly picking up with tongs, what I’m going to do with the chicken feet or skate or pork cheeks I’m buying. I started thinking that it might be fun to have some kind of “Ask Christine” feature here at Cognitive Leeks- it’s the reason I started this project in many ways. I love the interaction of a question instead of just sharing what I’m cooking . First, choosing the fish: generally, I think that round bodied fish species like salmon, cod, snapper, grouper, and arctic char are easier to handle than flat species like flounder and sole. The flatter and thinner the fish fillet, the less time it takes to cook (which makes them much easier to overcook), and the more fragile it is to move and flip while cooking. A 4-6 ounce filet of a fairly thick fish is a great place to start. It’s easy to handle, and doesn’t have a lot of bones. If you are shopping in a store that has a seafood department, ask for something with a little more oil- something flaky or meaty. And be picky- if it smells “fishy,” it’s not fresh. The piece of fish should be smooth- if it looks like the fish is starting to flake apart, it’s getting dry and starting to break down- that’s not fresh fish. Second, the hardware. I usually only use non stick cookware for eggs and fish, so I recommend a non stick skillet large enough for all the fish filets you plan to cook to fit without touching. Unwrap the fish you have bought and dry it off with a paper towel. This will help the surface brown a little. Season the fish with a little salt. Add a drizzle of olive oil to the skillet and turn the heat on to about medium. After a minute or two, place the filets in the skillet “presentation side” down first- meaning the side you want to be showing on the plate goes into the oil first. The more things heat and cook, the stickier they tend to become, so cooking the presentation side first means you have a better chance of the fish staying in one piece and looking nice when it’s done. If the fish is close to an inch thick, turn it with a wide spatula after about 3-4 minutes- thinner pieces should be checked after about 2-3 minutes. Move it gently and don’t be afraid to use your fingers to guide the flip- the top probably won’t even be warm at this point. The bottom surface should have a hint of golden brown and the bottom half should just be beginning to become opaque. Lower the heat to low and put a cover on the skillet. A little condensation will form and finish cooking the fish gently with a little help from steam. Check it after about 3 minutes; you should get a hint that the flakes of fish are starting to loosen. It should be springy (not mushy, not hard) to the touch and the fish will be opaque – no raw line. A sign that you’ve gone too far is that the filet will be completely firm and then some of the protein will begin to seep out between the flakes and will become white “bubbles” on the fish’s surface. 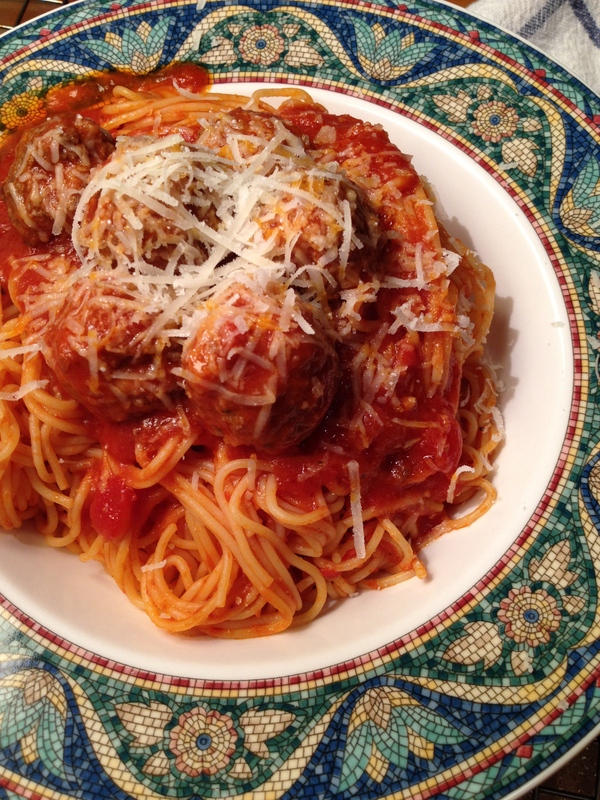 Slightly underdone is better than overdone when you turn off the heat. Leaving the fish inside the skillet with the lid on for another 5 minutes while you warm the plates will give it time to cook through with a gentle moist residual heat that will keep the fish from drying out. If you want to make a simple sauce, a squeeze of lemon juice into the pan after you remove the fish, whisked with a pat of butter and a sprinkle of salt is always nice. Fish usually takes less time to cook through than you might think. It is also usually leaner than any meat you are used to cooking so there isn’t much fat to keep the flesh from drying out. Just like you don’t want to over cook a beef tenderloin filet, and chicken breast gets tough and dry when overcooked, you don’t want to overcook fish. And simple is usually better when it comes to the delicate flavor of fish- a little salt and a hit of lemon is often all it needs. I also wrote a post about poaching fish, another gentle cooking method that minimizes the risk of overcooking your fish. I hope that was helpful. If you have more questions, Heidi, you know where to find me. If anyone else has a burning question I might be able to help with, email me at cognitiveleeks@gmail.com or send me a message on the Cognitive Leeks Facebook page and I’ll see what I can do to help. Day 4 of the sriracha fermentation process and I have one disaster and one success. The disaster: I was gone all day yesterday and didn’t check the sauces last night and unfortunately, bad bacteria took the opportunity to take over the red sauce. There was a thick layer of fuzzy mold in the top and a smell of fruity acetone in the jar. I scraped the mold off just to see what the condition of the sauce was underneath and it was still brilliant red but smelling of pepper garlic alcohol. I think that a combination of very ripe and juicy peppers and a warmer than desirable fermentation temperature got the best of me. I’m going to try it again soon though because up until last night, the mash smelled amazing. Chalk this one up to environmental factors. I’d consider using a narrower mouthed jar next time too to see if that helps, but the lack of temperature control in my apartment is probably a much more critical factor. 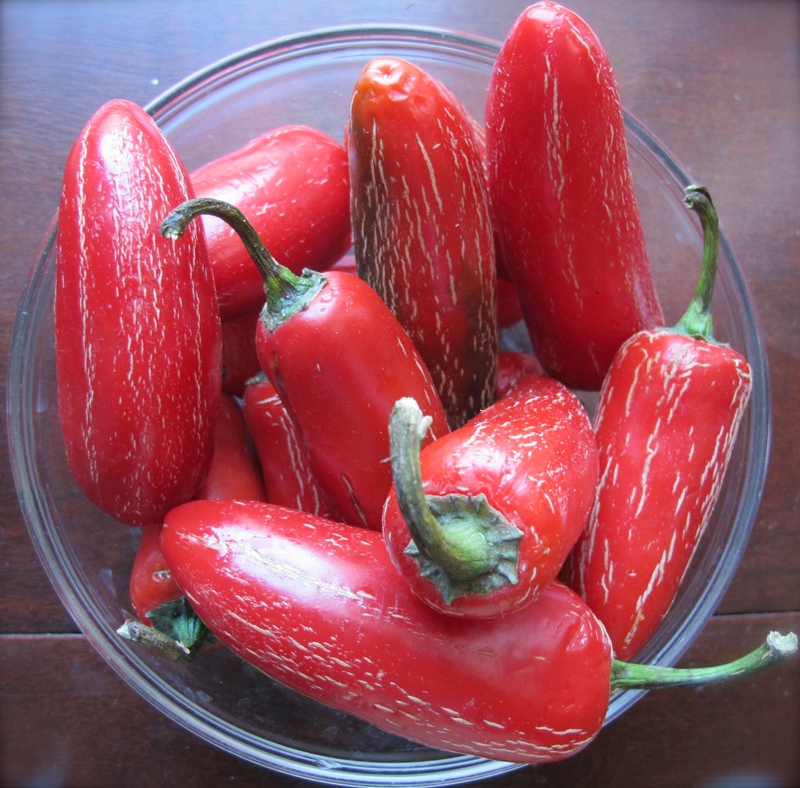 Once the radiators go off and I can get some more red chiles I’m going to make another batch because it. smelled. awesome. The green sauce, on the other hand stayed much more stable. 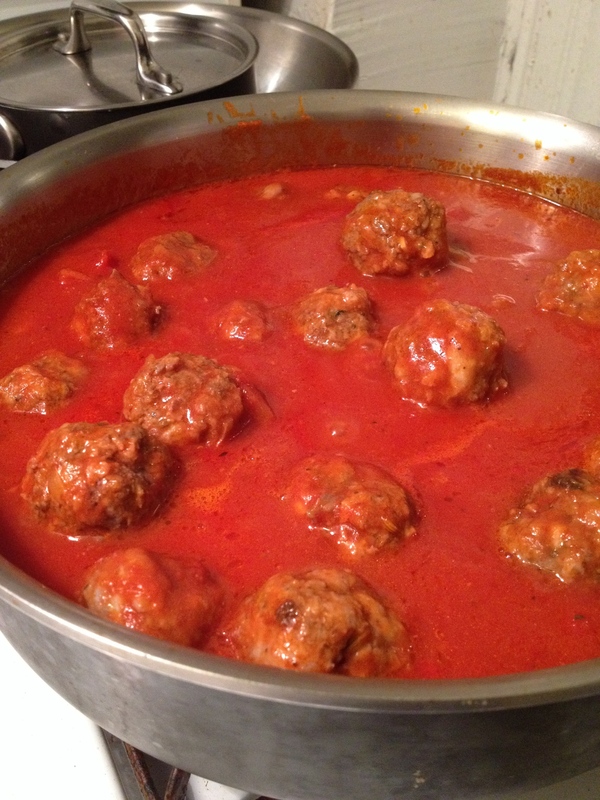 A little bubbling but nothing like the jar of red sauce and there wasn’t any mold on the surface. The color softened a little from the original bright green but stayed pretty bright. I added the vinegar and simmered the sauce for 5-8 minutes before blending the mash into a smooth puree and sieving it. 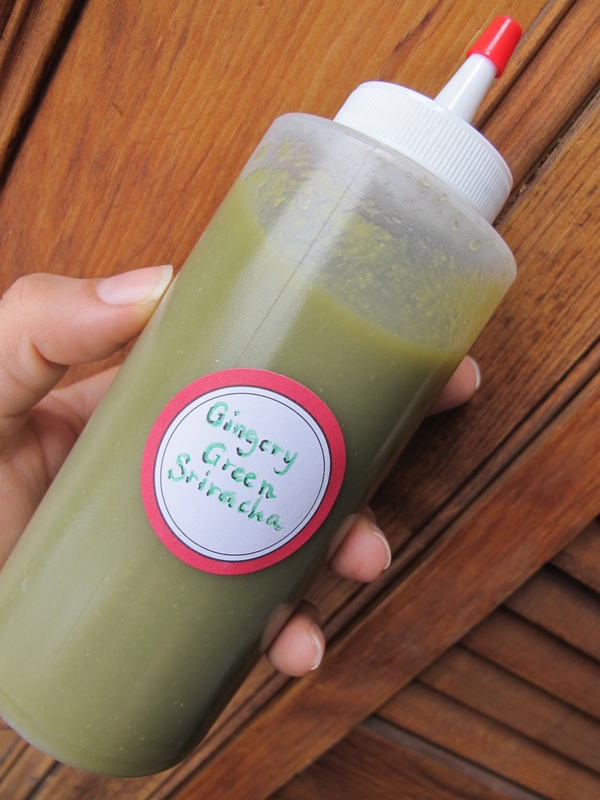 The green sriracha is tangy and garlicky and hot hot hot with a little ginger kick that I’m really happy about. I think it will be great in soup and beans and maybe even with some skirt steak with chopped cilantro and onions as a little fusion take on chimmichurri sauce. Snip off just the long end of the jalapeño stems and coarsely chop the whole chile into 5 or 6 pieces; coarsely chop the garlic cloves and ginger. 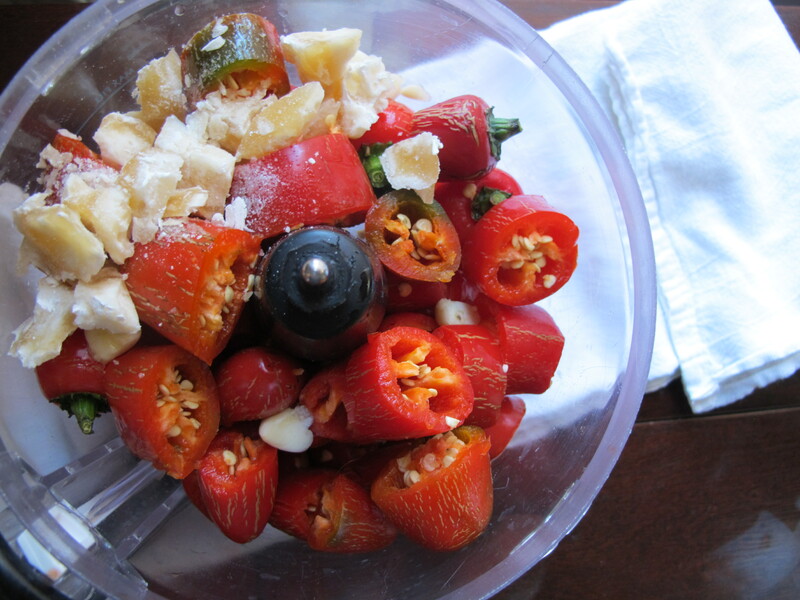 Along with the salt and sugar, put the chiles, garlic, and ginger into the bowl of a food processor. Make sure you cover the spout so you don’t burn your eyes. Pulse the jalapeño mixture until it is a rough purée without any uneven chunks. 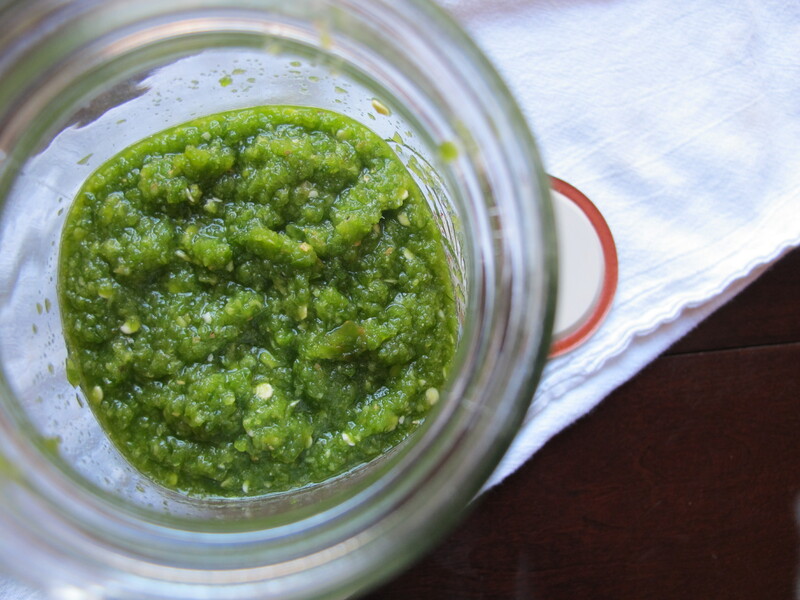 Pour the jalapeño purée into a clean glass jar and loosely cover with a lid. Don’t tighten the lid so that the gasses that form during fermentation can escape. Place the jar in a cool (if you have it) dark place and allow it to begin to bubble and expand. 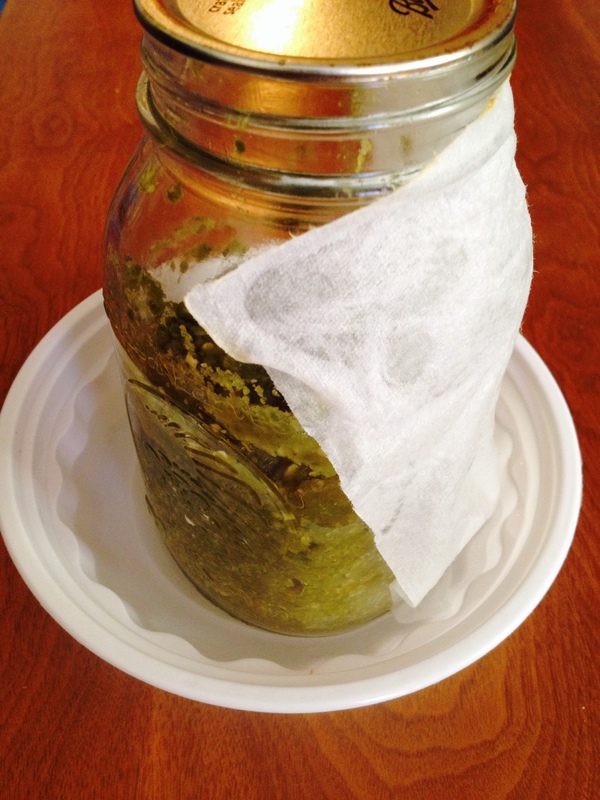 It should smell like garlic and chiles but pay attention to any sharp alcohol smells or excessive mold sprouting on the top. Allow it to ferment for 2-3 days, stirring occasionally. Pour the fermented mash into a small sauce pan, mix with the white vinegar and bring to a boil. lower the heat and cook for 5 to 8 minutes at a simmer. Remove from the heat and allow to cool off. Pour it into the bowl of your food processor or blender and process until very smooth, 2-3 minutes. Sieve the smooth puree through a fine mesh strainer to remove bits of skin and seeds. 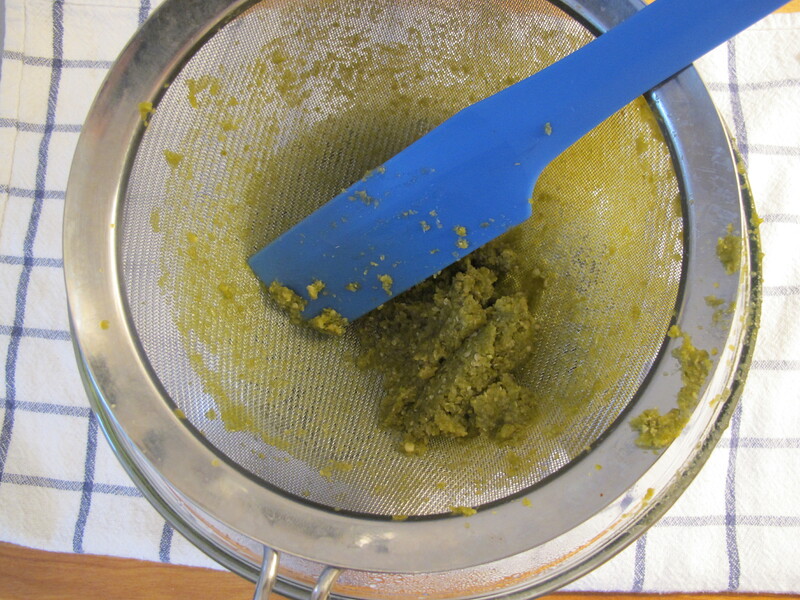 Scrape the mash through the strainer until there is just a little dry pulp left in the sieve. 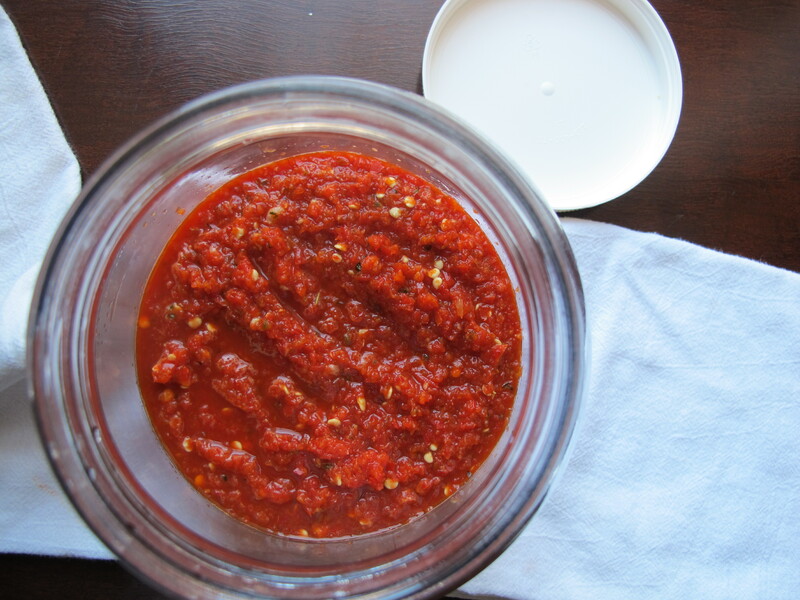 Use a funnel to pour the strained sauce into a bottle or jar; I used a squeeze bottle I got from a restaurant supply store, but a glass jar or recycled sriracha bottle would be great too. Refrigerate. We live in an old row house apartment building with radiators that are controlled by a thermostat in the hallway upstairs. The heating system seems to have a mind of its own and while we can go turn the heat down if we need to, it comes on sometimes during the day if a lot of people are opening the street door or it gets really cold outside. It can be excessively toasty in our place; overheating can cause problems when we brew beer, it can cause bread dough to rise too quickly, and it can cause over-fermentation of hot sauce or yogurt or kefir. Since I can’t control the temperature in the apartment very well, I figured out a way to control the temperature of the beer fermenter hot sauce jars with a very crude evaporative cooler, also known as a swamp cooler. The concept is that evaporating water is a couple of degrees cooler than the room temperature air; this is the same principle behind why our bodies sweat to cool themselves. We found that by placing our fermenter bucket in a larger basin with a couple of inches of water in it, then smoothing a damp towel up the side of the bucket to act as a wick for the water so that it was evaporating over part of the surface area of the bucket, it kept the beer at a more even temperature and kept the yeast from heating itself up as much as it eats up the sugar. When I checked on the sriracha yesterday, it was already bubbly and expanding in the jars. I hadn’t expected it to be working for a couple more days but since it has been so warm in here, I wasn’t surprised. I don’t want it to ferment so quickly that the complex flavors that develop during a slow and moderated fermentation to get lost and the whole mash to go sour so I put the jars in larger plastic boxes and poured a little water in the bottom, then wrapped one side of the jars in a wet paper towel. Most of the water had evaporated out of the plastic containers today, so I topped them up. That’s a good sign that they’re working. I’ll continue to stir the mash and keep an eye and nose on the jars for the next couple of days but it smelled good and there wasn’t anything too funky going on yet. I’ll keep checking on it over the next few days and add water as needed. As much as an experiment that I’m posting about on a public blog and which is fermenting odiferously away in our pantry/wine cellar/storage closet, whiffing more and more garlic and chile fumes into the apartment by the hour can BE super secret, I am making a pair of sriracha sauces for my Valentine. We are the sort of family that has a significant percentage of refrigerator door shelf space allocated to bottles and bottles of hot sauce because each one has a specific and non transferable purpose and we really really need all of them. From classic Tabasco and Caribbean scotch bonnet sauce for black beans to earthy harissa that I use in a lot of my braised sauces and smoky hot chipotle in adobo, amarillo paste from Peru to the green-capped Rooster brand sriracha sauce, we keep adding to our collection. Garlicky sriracha is a favorite. It goes so well on so many things and I’ve been wanting to try to make some at home for a while. So I used the impetus of upcoming Valentine’s Day to go ahead and make it. It seems like gifts that can be consumed are a sure hit, particularly since we don’t really like accumulating a lot of stuff. I used two recipe sources: this write-up on Serious Eats and another on Viet World Kitchen by Andrea Nguyen. 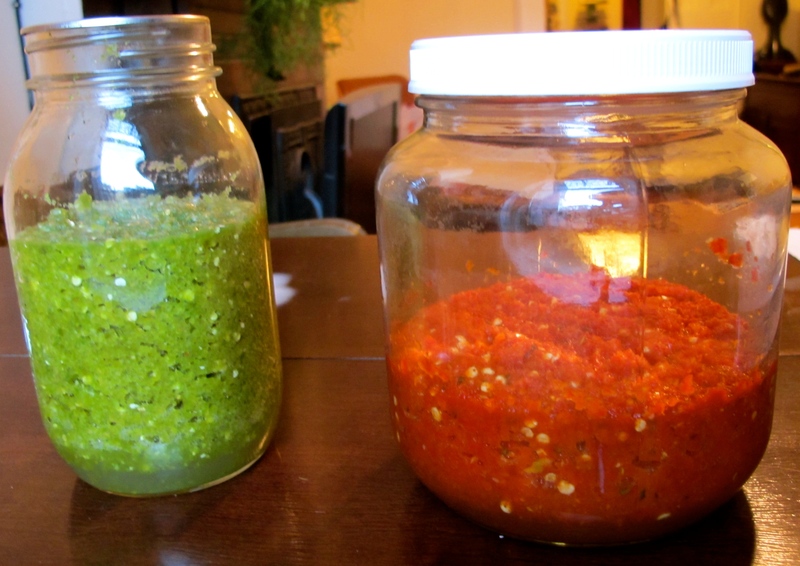 Both compared fresh sauce vs. fermented and had used several different types of chiles. While I’m not trying to duplicate the Huy Fong “Rooster” sauce, I wanted to be along the same lines so I decided to use the red jalapeños and fermentation method they use for the first red sauce. 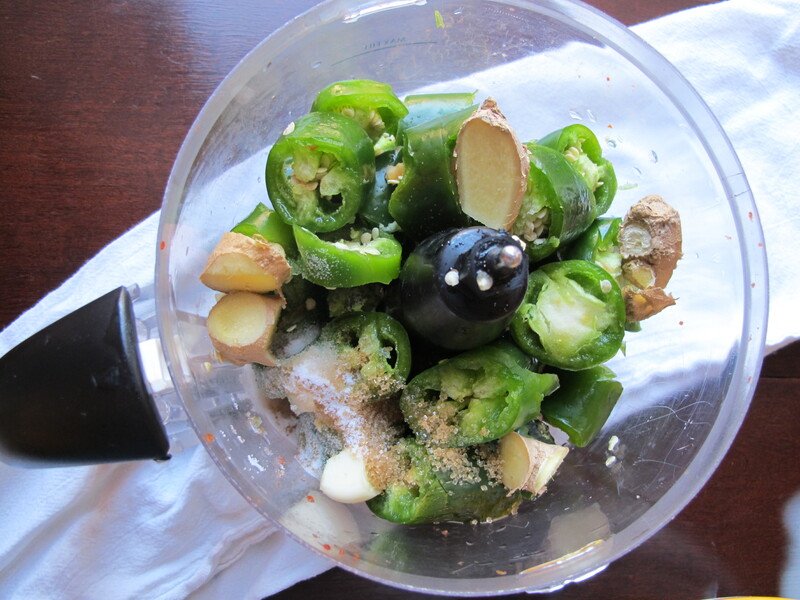 I had bought green jalapeños intending to try to ripen them before I ran across the red ones at Manhattan Fruit Exchange so I used those for a green sriracha with a little ginger addition. Yesterday I did the first step, processing the chiles and garlic and then putting them in loosely covered jars in the closet to get the sauce to ferment. 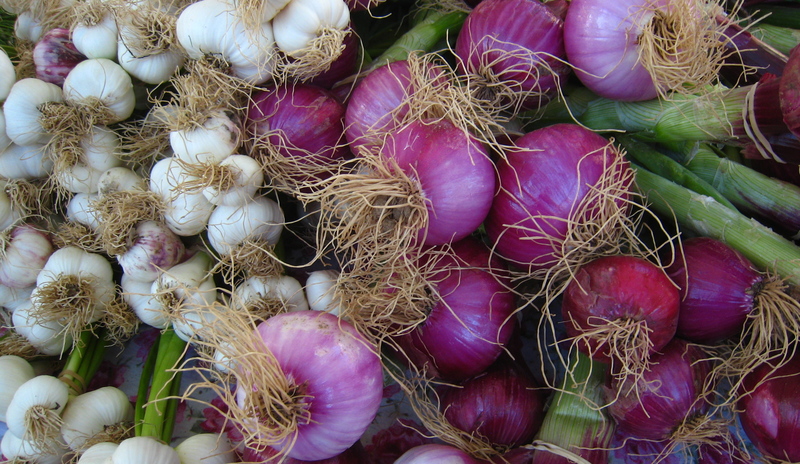 When I checked them this afternoon, some of yesterday’s vivid color had begun to soften and I could smell a mellower garlic and chile fragrance. The puree had separated from the liquid a little and started to bubble and expand. I had expected it to take a couple of days to start fermenting but with it being so cold here, the radiators have been on a lot which makes the apartment a little warmer than normal. Warmth quickens dough fermentation so I’m pretty sure that’s why they’re so active. I stirred and re-covered them and put them back in the closet but I may put them beside a window tonight to cool them down a little. I don’t want to get them too cold and put the bacteria to sleep so I’ll have to keep an eye on it- maybe do a condensation cooler like we do to regulate the temperature of our beer while it ferments. So, y’all just keep this surprise between us until Friday and I’ll keep you posted on how it goes and write up the process I used, including the recipes and variations. “Glad you posted that soup recipe. I’m cooking again and it feels nice. I have two comments about the potato leek soup before I forget them. 1. We need proportions and 2. using an immersion blender turns it into paste. A few months after I started this blog, I wrote a post about a neighbor in our community garden who gave me a bunch of leeks. I used them to make a simple potato leeks soup but didn’t really post a recipe, more of a general description of the process. Grace has been asking me to write down the actual recipe ever since I made it for her and her now-husband when they came out for a visit but I never got around to it. Now that she’s feeding it to her children, I figured it’s time to take my responsibility as an aunt seriously and finally get her the recipe. The paste issue is another story. We have a family Christmas tradition that my mom started of making a pińata with newspaper and flour paste. Most starch can be turned into some kind of glue when it’s mixed with water and potatoes are no exception. Overworking potatoes, which is easy to do with any tool more powerful than your arm, turns them into paste. I’ve made mashed potatoes that you could mortar bricks with before I learned better. So, the goal is to blend the soup enough so that it’s smooth but not so much that it becomes gluey. Julia Child recommends either beating the soup with a fork or using a food mill, but I like a smoother puree than a fork will get me and I know a lot of kitchens aren’t equipped with food mills, so I use a hand-held stick blender as my first choice; it’s the easiest tool to control. 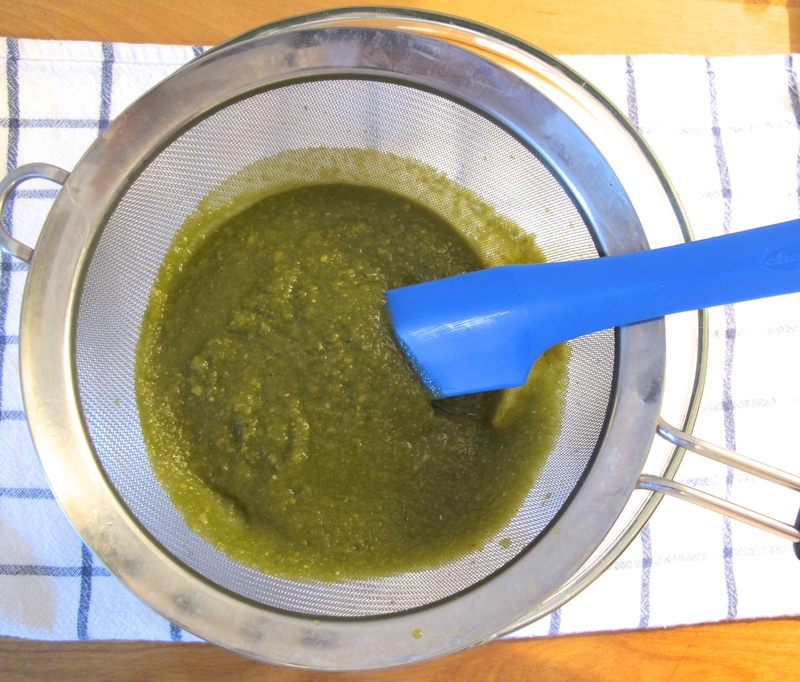 A blender or food processor will work, but be judicious and just do a few quick pulses until it is smooth. Another way to minimize the amount of blending is to cut the vegetables into small pieces to begin with; they will soften a lot while they cook and melt into a smooth puree with the cream almost instantly when they are blended. Adding turnips to the soup sweeten the flavor a little, lighten the texture and make it less starchy, and also help minimize the glue factor. Fill your kitchen sink or a large bowl with cold water. Trim the root ends and dark green ends off the leeks; I hold them by the white end and then use a knife to sort of shave the dark green outer leaves off into a point. Split the leeks lengthwise down the middle. Swish each half in the cold water thoroughly to and then let them float. Grit and dirt will sink to the bottom of the sink and then you can just lift the clean floating leeks from the top. 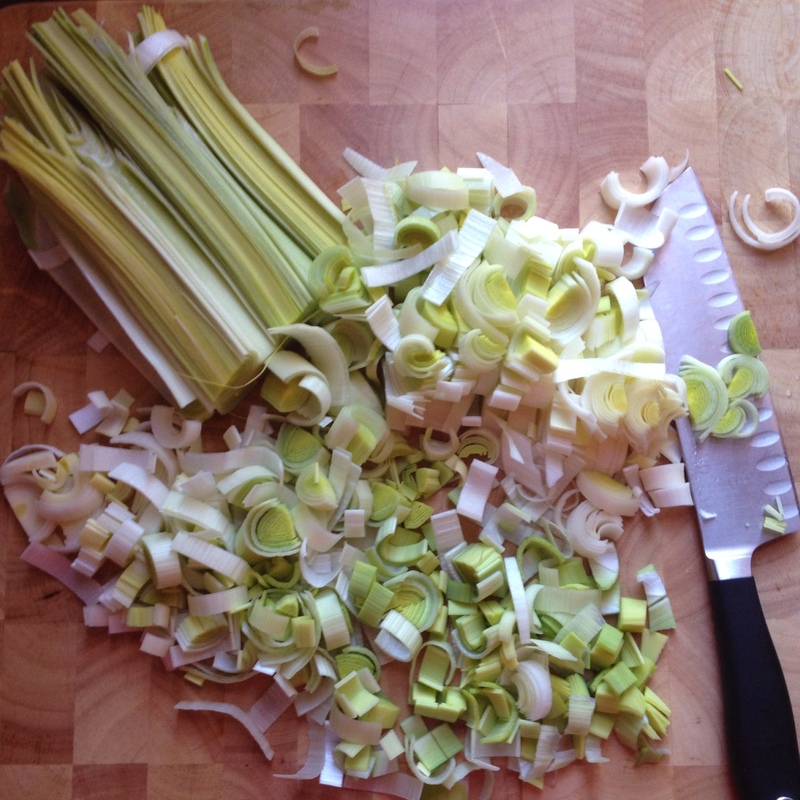 Chop the leeks into ½ inch crescents. Peel and dice the potatoes and turnips. The size of the dice isn’t crucial, but the smaller the dice the more quickly they will cook to tenderness and the less blending is needed to make a smooth soup. I try to do about a 1/2 inch dice. 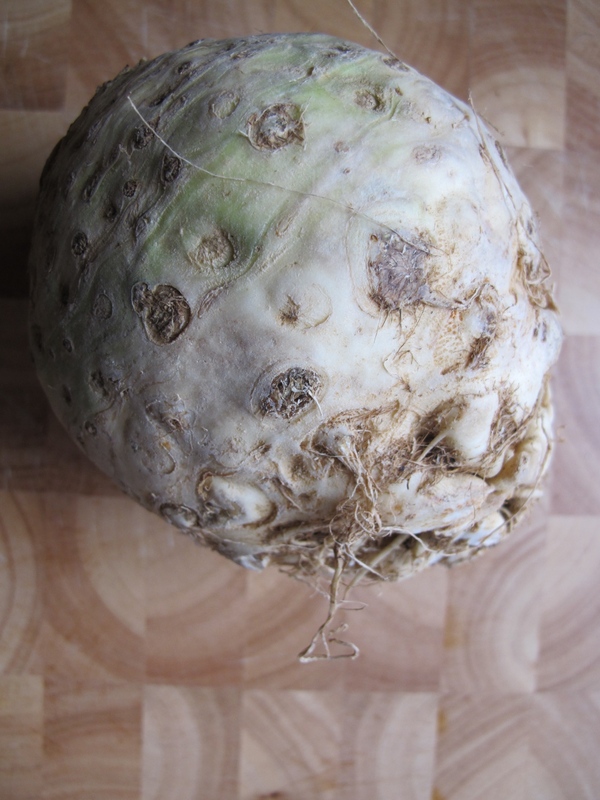 If you prefer not to use turnips, use one more potato instead. Put all of the vegetables into a large heavy bottomed pot with about ½ teaspoon of sea salt. Add enough water to just barely come to the top of the vegetables. Remember, the vegetables will release a lot of liquid as they cook and we don’t want to water down the flavor with too much extra water, and you can always add a little extra if the pot begins to look a little dry. Cover the pot with a lid and bring to a simmer. Cook for 20-30 minutes until all the vegetables are very tender, stirring occasionally. I mash a piece of potato against the side of the pot to check tenderness. It should give no resistance to the spoon when it’s done. Using a handheld stick blender (my preference), a food processor, or a blender, puree the soup until it is completely smooth and velvety. Add ¼ cup of organic heavy cream, blend until combined and then check for salt. The cream will coat your tongue slightly so it’s best to wait until after adding the cream to add the final salt. Although I don’t have a slow cooker right now, I see no reason why you couldn’t simmer the vegetables on low in a slow cooker for several hours. Add maybe a little less water to the vegetables and stir once or twice to make sure the sugar in the leeks isn’t sticking, then blend and season as you would with a stove top version. It’s blizzarding and frigid outside here in Hoboken! Our mayor robo-called today to tell us that “street sweeping rules were not in effect during the winter storm but meters and parking rules were and that cars parked in snow evacuation routes would be towed and sidewalks are to be shoveled within 6 hours of the end of the storm but not to shovel the snow back into the street.” So, while blizzards always make me think of Pa eating all the Christmas candy in the snow cave when he got lost in a blizzard in Laura Ingalls Wilder’s On the Banks of Plum Creek out on the wild western prairie, Winter Storm Hercules is being managed with small-town New Jersey efficiency here. And I’m making soup. I cooked this soup after Christmas as my in-laws during a visit when our nephew was about 2. He’s the one that said “Good job” to his grandmother when she made a pan of biscuits that particularly pleased him. 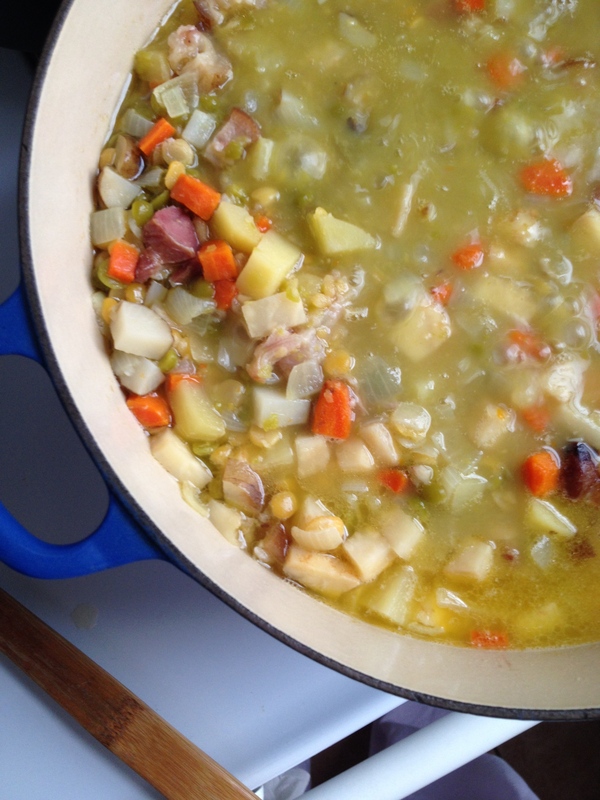 He was such a fan of this soup that my mother-in-law decided to make more split pea soup for him a few weeks later. She called me laughing hysterically and asked for my recipe. She had put a bowl of soup on the high chair tray in front of our nephew and after one bite, he looked up at with the absolute crushed disappointment that only a toddler can muster and said “BLECH!” and refused to eat any more. She said “I’m not used to getting ‘blech’ comments on the food I cook!” So for what it’s worth, this soup is toddler-approved. In a large pot, simmer the ham in about 4 cups of water over very low heat until the meat is very soft and beginning to fall of the bones. Using a slotted spoon, remove the meat and bones from the water. Allow the meat to cool and then remove from the bones, shred into small chunks, and set aside. In another pot or sauté pan, heat enough oil to just lightly coat the bottom and sauté the vegetables in it just until they begin to steam and soften. Add the split peas and vegetables to the ham stock. Bring to a low simmer and cover with a lid, allowing it to cook slowly until the peas are soft and the vegetables are beginning to melt into the soup, probably about 30 minutes, depending on the freshness of the peas. Add more water as needed to keep it from getting too dry or sticking to the bottom of the pot, but not so much that it is watery. Add the shredded ham back into the soup and allow it to heat through. Since the ham broth will vary in saltiness, don’t salt until the end of cooking; you may need less than you think and it is easier to add salt than take away. Add black pepper to taste. 1. I am inexact about the amount of water because the amount needed varies so much. Start with the amount on the package of peas, or with the amount I suggest, but use your judgment about adding more; you don’t want it to be too dry and thick. 2. Cooking the pork slowly in the water first serves a couple of purposes. First, it infuses the water with flavor so that it really mixes into the beans and vegetables as the beans absorb water. Second, if you are using ham hock, shank, or any part of the leg with the bones and all, the connective tissue from the cartilage melts into the water, giving it a rich texture that makes the stock very tasty and silky, the same as using wings or feet for rich chicken stock.